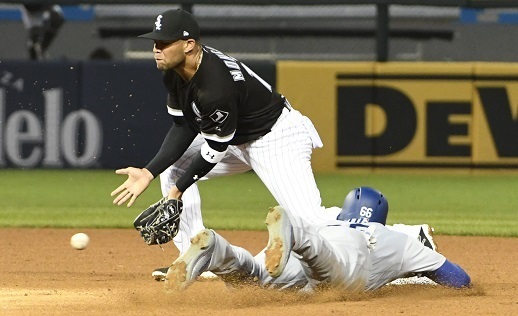 The Los Angeles Dodgers were the biggest buyers during the deadline for the Major League Baseball player-trade on Monday, adding pitching reinforcements to solidify an already strong roster as the presumptive World Series favorites. The Dodgers, in first place in the National League West at 74-31 with a commanding 14 game lead, were already a virtual lock for the playoffs. Playoff predictors from sites such as Fangraphs and FiveThirtyEight both put the Dodgers at over 99 percent odds to take the division. The Dodgers did not have a particular need to upgrade their team. But they made moves anyway. First they acquired bullpen help in two of the best left-handed relievers on the market, Tony Watson and Tony Cingrani. 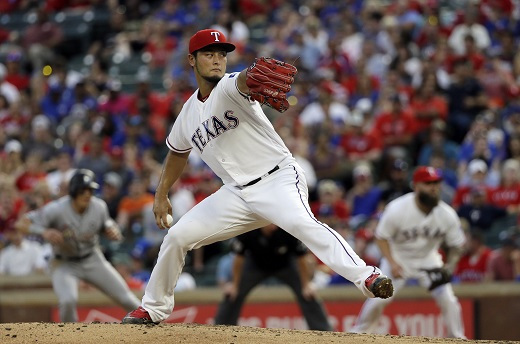 Then they made perhaps the biggest move of the deadline, acquiring Texas Rangers ace Yu Darvish for three prospects. Darvish will bolster a Dodgers starting rotation that has been ravaged by injury and, following Clayton Kershaw’s return, join Rich Hill and Alex Wood in what is likely one of the MLB’s strongest prospective playoff rotations. The other contenders in the National League were also busy. The Cubs first made a move for starting pitching, acquiring left hander Jose Quintana, quietly one of the most productive starters since his debut in 2012, from the crosstown White Sox. Then they acquired bullpen and catching assurance, picking up reliever Justin Wilson and catcher Alex Avila from the Tigers. The Nationals made moves for a bevy of relievers, adding relievers Ryan Madson, Sean Doolittle and Brandon Kintzler to strengthen a bullpen that had been their only real weakness in the first half of the season. The National League’s fringe contenders like the Diamondbacks, Rockies, and Brewers also made smaller but still significant deals. The Diamondbacks added outfielder JD Martinez, who immediately made an impact, homering 5 times in his first 6 games in a Diamondbacks uniform. The Rockies added reliever Pat Neshek, strengthening a faltering relief corps, and catcher Jonathan Lucroy, to improve a spot that had essentially been an offensive black hole. The Brewers added pitching, picking up starter Jeremy Jeffress and reliever Anthony Swarzak. In the American League however, the contenders mostly refrained from making blockbuster deals. 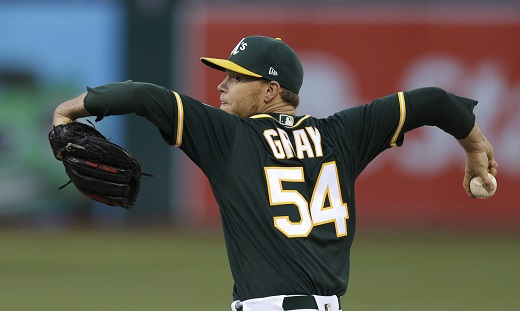 With the exception of the Yankees, who made major moves for Oakland ace Sonny Gray and White Sox relievers David Robertson and Tommy Kahnle, the other teams looking at playoff spots mostly stood pat, making small but savvy moves to acquire solid role players to fill voids in their team. Of the Yankees’ main competitors, the Rays were the most active. The Rays acquired relievers Dan Jennings and Steve Cishek, and first baseman Lucas Duda, solid but not marquee trades to plug holes in the roster. The Red Sox were active at the deadline, involved in trade rumors for a number of headline deals, but ultimately made only two pickups, grabbing third baseman Eduardo Nunez to provide veteran infield insurance and speed off the bench, and bullpen help in reliever Addison Reed. The AL Central and West were fairly quiet, with the division leaders making minor pickups, and the other contending teams making trades for depth rather than stars. The first place Indians and Astros made only one move apiece, coincidentally both with the Toronto Blue Jays, the Indians picking up Toronto reliever Joe Smith, and the Astros picking up starting pitcher Francisco Liriano. The Royals, charging hard but still second-place in the AL Central, were in the awkward position of being all-in with their team’s core all pending free agents, but without many prospects to wield in trades. So they made a number of intriguing but low-upside pickups in pitchers Ryan Buchter, Trevor Cahill and Brandon Maurer, as well as outfielder Melky Cabrera. The AL West’s second-place team, the Mariners, moved similarly, picking up starters Erasmo Ramirez and Marco Gonzales, as well as reliever David Phelps. Of the rebuilding teams, the Chicago White Sox were the most active and successful, dealing nearly every valuable asset on their roster to build what has suddenly become one of the MLB’s deepest farm systems. After trading Chris Sale and outfielder Adam Eaton in the off-season White Sox have fully committed to their rebuild, stockpiling prospects at the expense of current major league talent, with the intent of competing farther down the road. The White Sox are 3-12 in their last 15, and at last place in the American League cellar. But committing to the rebuild has left them with arguably the MLB’s strongest farm system, with two of the top five and eight of the top 100 prospects in BaseballAmerica’s mid-season list. The playoffs of the last few seasons have been impacted notably by trade deadline acquisitions made by contending teams, particularly the 2016 Cubs’ pickup of Aroldis Chapman and the 2015 Royals’ acquisitions of Johnny Cueto and Ben Zobrist. With the final third of the 2017 season beginning, this year’s contending teams will hope their recent moves have put them in a similarly favorable position.